Actuator – A mechanical device which is responsible for the starting and stopping of different activities. It is used to spot the read/write top over the specified path. Actuator for hard drive moves the actuator arm. The hdd actuator is controlled magnetically by a voice coil. 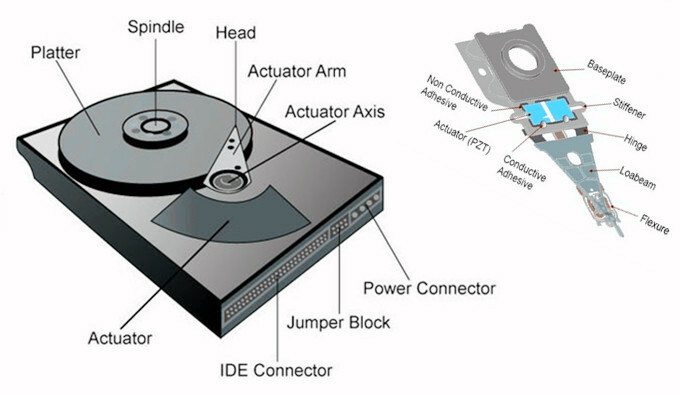 In older drives, a device known as a “stepper motor” is used to power the actuator but these were prone to overheating and over time, due to wear-an-tear a failing actuator could corrupt the data. Voice coil powered actuators retain the integrity of the data on the platters much better. An Actuator Arm is the moving arm that holds the read/write heads and accurately positions them on the platters. There are several types of addresses; an address may refer to that of a drive, called a unit address; radial position, called a cylinder address; or circumferential position, referred to as a sector address. 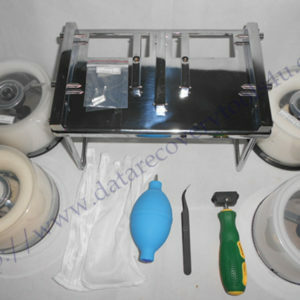 The platters, spindle, spindle motor, head actuator and the read/write heads are all contained in a chamber called the head disk assembly (HDA). Outside of the HDA is the logic board that controls the movements of the internal parts and controls the movement of data into and out of the drive. 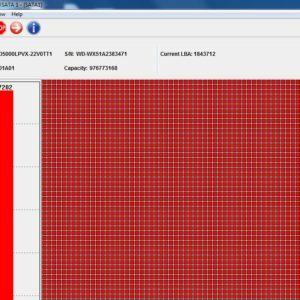 demand from the disk controller. Feedback of the drive electronics is accomplished by means of special segments of the disk dedicated to servo feedback. These are either complete concentric circles (in the case of dedicated servo technology), or segments interspersed with real data (in the case of embedded servo technology). The servo feedback optimizes the signal to noise ratio of the GMR sensors by adjusting the voice-coil of the actuated arm. The spinning of the disk also uses a servo motor. Modern disk firmware is capable of scheduling reads and writes efficiently on the platter surfaces and remapping sectors of the media which have failed.